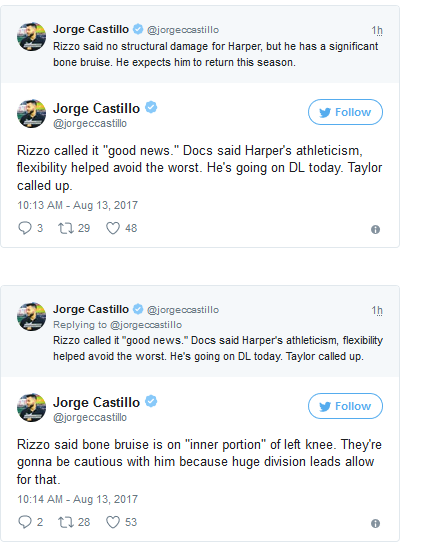 We'll have to wait for the MRI results, but seeing an athlete clutching his knee like Bryce was usually means a MCL or ACL tear. I hope I am wrong and jumping to premature conclusions. Last edited by Steve Jeltz; 08-12-2017, 08:22 PM. You have to admit, watching Bryce clutching his knee was scary and you had to assume the worst. Glad I was wrong.